I had such a wonderful time painting all of those tiny patterns! Beautiful! Is that white ink, gouache, or watercolor? Thank you! It’s white rapidograph ink. It’s the best thing I’ve found so far as far as opacity and fluidity go. 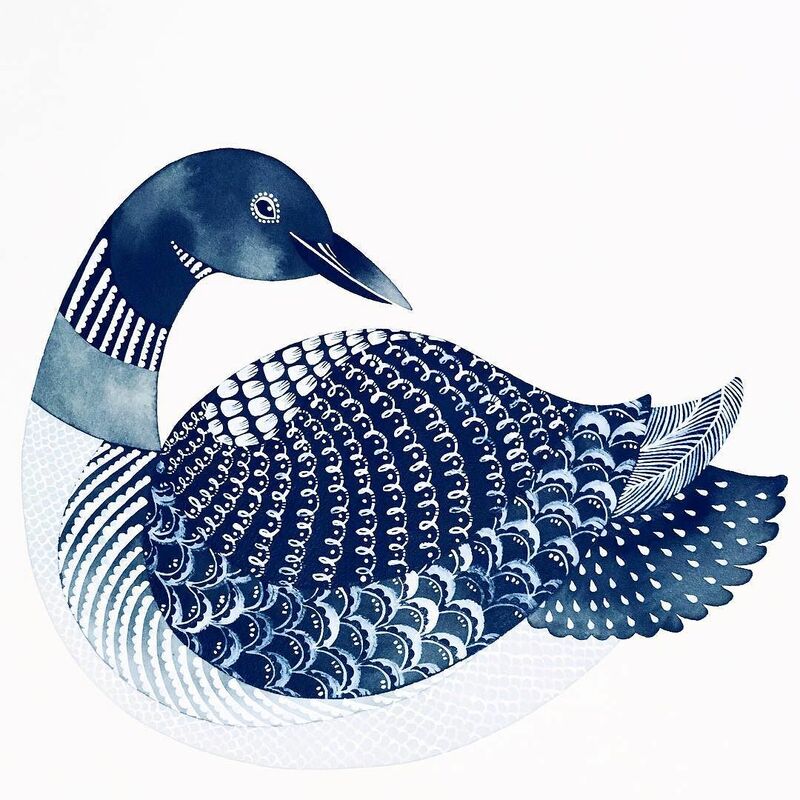 What a beautiful loon! So many loving details to look at.